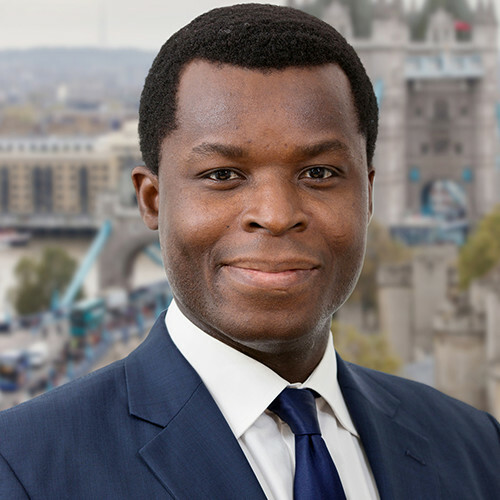 Kokou Agbo-Bloua leads a global team of 20 financial engineers focused on the generation of differentiated trade ideas, unique implementations and hedging solutions across asset classes for hedge funds, global macro, asset managers and pension funds. Kokou joined SG CIB in 2014 and was most recently Head of Equity & Derivative Strategy Europe at BNPP in London for 4 years, where he was responsible for European fundamental equity strategy, derivatives parameters, global cross-asset themes and convertible bonds strategy. He was team leader of five senior strategists ranked #1 for idea generation by Greenwich survey & Derivatives Intelligence. Prior to this, he started his career on the trading side: Executive Director at JP Morgan from 2009-2010 and from 2000 to 2008 he was a portfolio manager at Goldman Sachs Principal Strategies (GSPS). He managed directional long/short, convertible bonds and volatility portfolios across asset classes. Born in Togo and educated in China, where he spent 12 years of his life, Kokou Agbo-Bloua graduated with an MSc in Management from HEC School of Management in Paris in 2002, and completed his post-graduate studies in Finance at the Anderson School of Management at UCLA. He is frequently quoted in the financial press and is a regular guest speaker on the BBC, Bloomberg and CNBC.